Imagine this: you work for a struggling company. In order to stay sustain itself in an increasingly competitive field of business, your company courts a marginal contributor from a successful competitor. Almost immediately after being hired, the new employee must go on sick leave for an extended period of time. During her or his absence, the company's struggles worsen to such an extent that it actually performs worse than it did before the new hire arrived. Right after the unwell employee returns to work, she or he demands an exorbitant raise or threatens to walk away from the foundering business. That scenario is basically what went down between the Toronto Maple Leafs and their former forward, Dave Bolland, who left Toronto after spending more time on crutches than skates at the Air Canada Centre. At the 2013 NHL draft, the Leafs gave up three draft picks in order to acquire Bolland, who played a mere 23 games in blue and white. Basically, Toronto gave up three potential NHL players for a guy who played less than one third of a single season. The Leafs essentially gave up significant (or at least not completely insignificant) assets for Bolland to make an extended guest appearance on their roster. 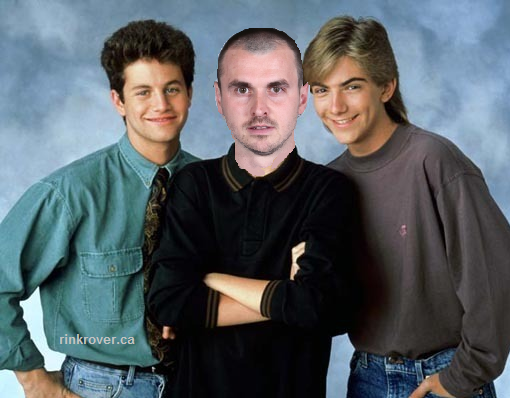 Bolland is to the Leafs what Leonardo DiCaprio was to the cast of Growing Pains. Instead of taking a pay cut to make up for his disappointing debut in blue and white, Bolland relied on a fiction to boost his value and bargaining power. The story goes that had Bolland's ankle not been severed by Zack Kassian last November, the Leafs would have fared much better in the 2013-14 NHL standings. That's right: an NHL player actually used a version of himself from an alternate universe as a bargaining chip. Maybe that's a fair approach. Perhaps Bolland used his extensive knowledge of theoretical physics to prove that there is, in fact, a bizarro-world Bolland in a universe wherein--on the strength of his Conn Smythe winning efforts alone--he led the Leafs to their first Stanley Cup championship since 1967, and then celebrated in the off-season by discovering the secret to nuclear fusion and a bacon-flavoured cure for the common cold. Such a player would certainly command the same salary cap hit as John Tavares. Some of you might think that an NHL player is entitled to ask for whatever he wants when he becomes a UFA. You're right, in the sense that no crimes were committed yesterday when free agents asked to be absurdly overcompensated in terms of salary and contract length. However, being able to do something doesn't justify doing it. 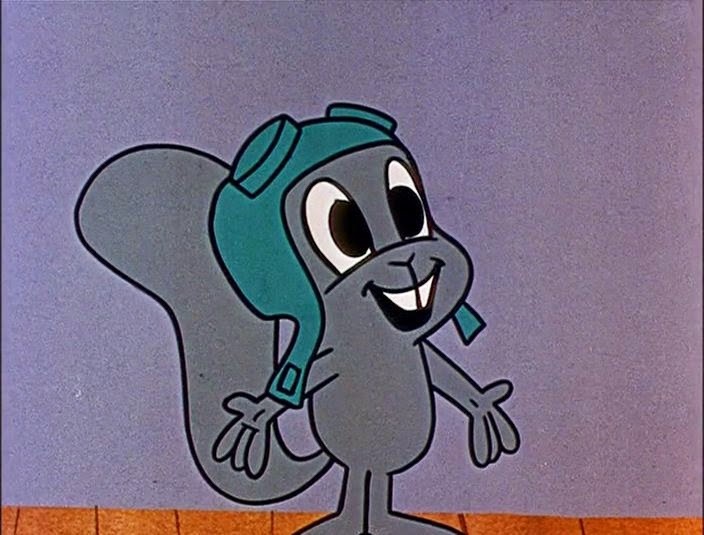 For example, there's no law prohibiting me from accusing squirrels of being Nazi sympathizers, but that circumstance does not justify my attempts to have Rocket J. Squirrel tried for war crimes. I maintain that Rocky's full name is "V-2 Rocket J. Squirrel." Ultimately, Bolland's contract demands are a testament to how disastrously Toronto misjudged their asset. The Leafs acquired Bolland as a character guy--in the sense that character means exemplary qualities of leadership, determination, and excellence. Instead, they got a character in the mold of a Dickensian dastard. If Bolland had any interest in showing character (in the nobler sense of the word), he would have taken a one-year contract at around his former cap hit. That gesture of good faith would have shown a willingness to make up for the lost time. More importantly, it would afford the Leafs an opportunity to verify that Bolland can still play before signing him to a long-term, lucrative deal. Instead, Bolland eloped with the first team that was willing to take a gamble on his uncertain future. Bolland's own parting words emphasize that he joined the Panthers purely for mercenary reasons. In explaining his reasons for joining the Panthers, Bolland remarked, "Florida was there with the money and Toronto wasn't." And so, after all the pageantry of the earnest, down-to-earth Mimico boy returning to his homeland last season, Bolland heads to Sunshine, Florida looking like a gold digger. For Leafs fans, schadenfreude is perhaps the only consolation after #63's unceremonious departure: Bolland's ankle may very well become the Achilles' heel of the Florida Panthers' salary cap.